This filly is athletic and stands over ground. She is the third foal of quality stakes winning mare Shepishir who won 15 races and over $300000-00 in prizemoney. By Magic Albert this filly has huge upside on the racetrack and a pedigree that continues to perform in the breeding barn. A quality colt with a great over step. He looks like a early 2yo type. This is the first foal of city winning General Nediym mare Wafer. And the pedigree has already produced Golden Slipper winners Canny Lad and Sepoy. A well balanced filly out of a city producing Success Express mare A Thousand Drinks. By the ever popular sire Dane Shadow this filly is sure to have plenty of admirers. 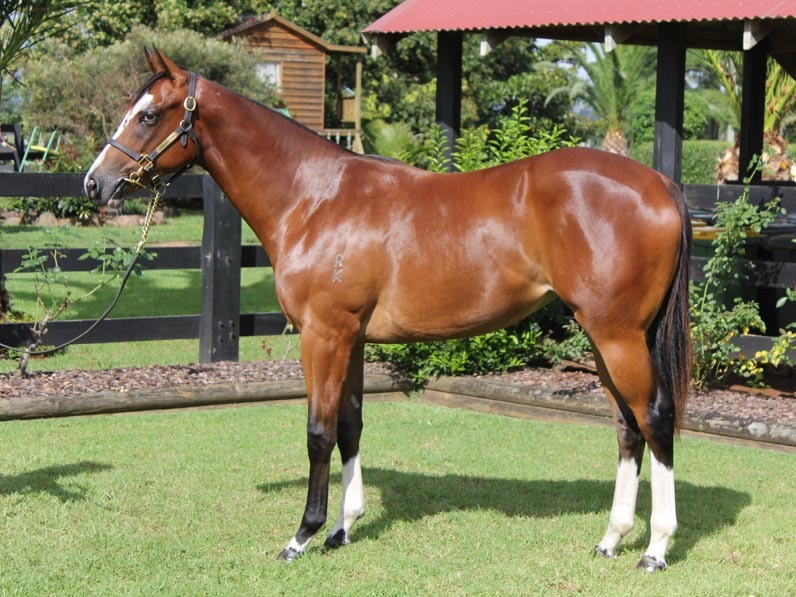 A quality filly out of a city winning imported mare. She stands over ground and has a great walk and presence about her. By the under rated sire in Bianconi this filly looks like a runner and will have plenty of lookers. A strong well set colt. He is a very good mover with a lot of quality. He comes from a winning family with lots of upside. A big strong powerful colt that has presence and looks. By the emerging sire in Casino Prince out of a producing Scenic mare this colt looks the real deal. This colt is big and strong . Very correct and looks to match. A very nice mover that prowls the ground. If looks count this colt is a winner already. A beautiful filly. She has all the qualities buyers are looking for. She is by the first season sire in Duporth and is the first foal of a young winning mare. She looks like a early 2yo type that should appeal to many. A big strong colt. He has a presence and moves over ground nicely. This is the first foal of a winning Viscount mare. A well balanced filly that looks like a runner. She has a deep girth and strong shoulder.She is the second foal of a winning Flying Spur mare in Ruapehu. A Duporth colt that demands attention. A great walker that has quality and presence. Out of a stakes winning Rubiton mare in Rubitoff. The mare has already produced quality stakes and city performers.